Sesame Salmon Avocado Bowl - Sushi Bowl Unrolled! 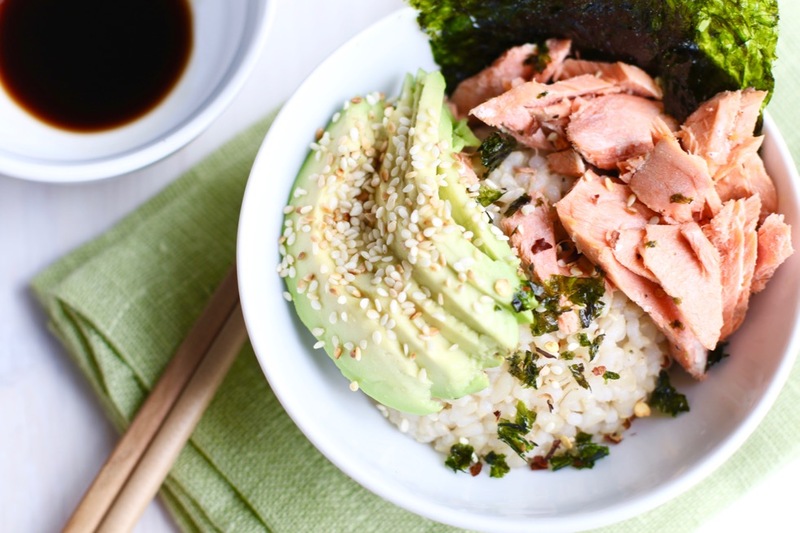 This Sesame Salmon Avocado Bowl is like a salmon avocado sushi roll but easier. 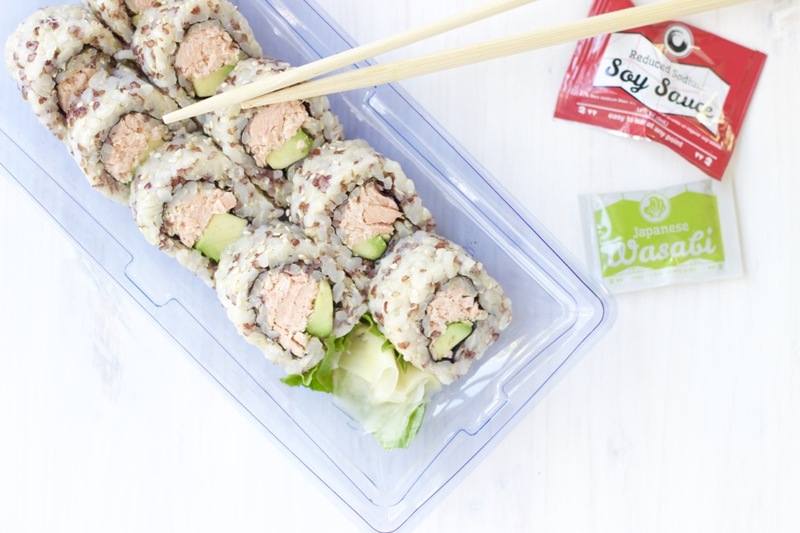 This quick and healthy lunch idea is a budget-friendly way to enjoy sushi – unrolled! You have no idea how excited I am about this salmon avocado bowl recipe. It combines some of my favorite foods and flavors and it’s super easy to toss together any day of the week. The other reason? It saves me money. And that’s always something to get excited about. I’ve been a sit-down and enjoy sushi with friends kind of gal for a while. It’s fun to share the different rolls and catch up over a light bite. Since discovering the brown rice sushi rolls at Whole Foods Market a few years ago, they’ve become one of my go-to fast food meals. But lately, I feel like I’ve been helping Whole Foods make rent with the dollars I’ve been handing over for their brown rice, quinoa, grilled salmon avocado rolls. That’s a mouthful, isn’t it?. You see. It’s been in the 70s here in Atlanta (though not today). As soon as the weather breaks, I start craving no-cook meals like sushi. Plus, I’ve been incredibly busy and not cooking as often. So, the sushi section just keeps calling me back. Learning to make this all for myself is how I’m saving a little green this month. One day, I’ll even get a sushi mat and roll my own. One day. When I have time. Yes. I’ll do that. 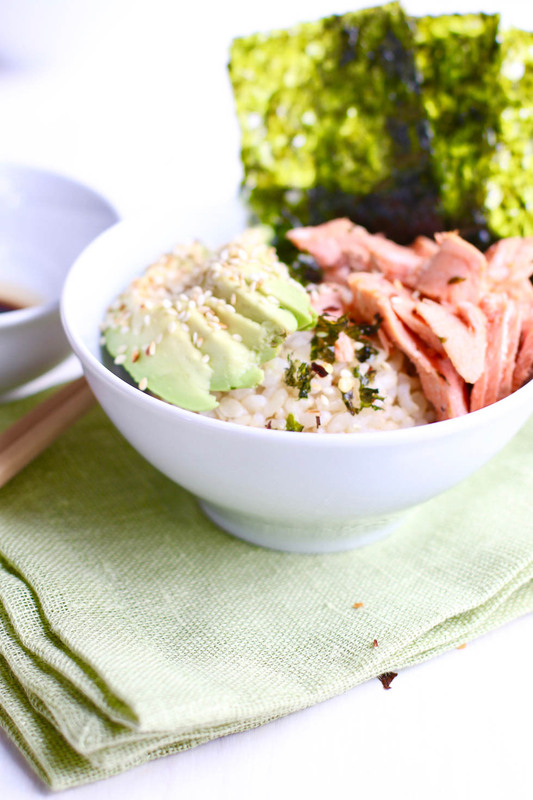 But for now, this sesame salmon avocado bowl tops my list of healthy, easy meals. It’s ideal for meal prep Monday, Sundays, and of course Fish Friday! What I save on sushi pales in comparison to what you could score. I’ve teamed up with some great bloggers to bring you an amazing giveaway to celebrate the month of March and all things nutrition, spring, and green! Super yummy looking Sesame Salmon Avocado Bowl recipe will definitely be on my next shopping list. I'm not sure what I would get on Amazon, a couple of options are some bikes for the family, a backup hard drive for the laptop and/or replacement laptop and the rest towards groceries & household items.